News: OLX to double sales team: Is 2x bigger, 2x better? OLX, the online marketplace for varied products and services, with 40 Mn active monthly subscribers is all set to multiply its sales team in 2019. 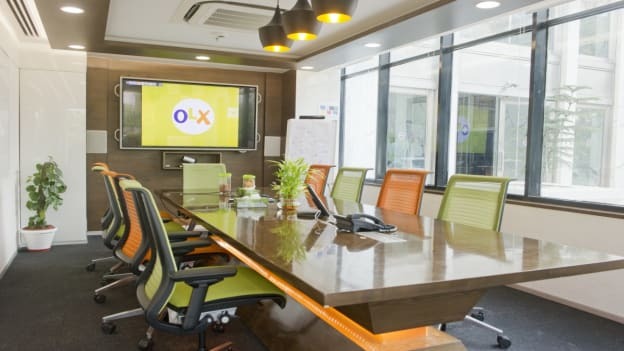 The online marketplace, OLX, with 40 Mn monthly users, plans on doubling the headcount of its sales team this year. The portal manages transactions for an array of products and services including real estate and automotive. Real estate being one of the fastest growing verticals, OLX seeks to expand focus in this sector. According to a recent press release, the e-marketplace plans on expanding its listings to to 25 cities in the country. This move is in keeping with their observation that there has been a tenfold increase in the average ticket size of real estate projects listed on the platform from Rs 20 lakhs to Rs 2 Cr. The portal has also seen an increase in revenue primarily from premium developers with projects listed at more than Rs 1 Cr. Real Estate is among the fastest growing verticals and 20 per cent of OLX users visit the real estate section. The new sales team will have the responsibility of onboarding builders, professional sellers and tenants. They will also have to be able to engage the attention of local real estate communities while primarily focusing on premium developers. The team will also have to assist the sellers by deep-diving into the usual challenges they face and training them on the available tools that the platform offers to increase visibility and establish connections with the right buyers. While the move to expand to more cities for listings and growing the sales team seems relevant and proportionate to the growth of the segment, does a bigger team necessarily mean bigger and better business? The team needs to be adept in dealing with the demands of this growing industry while also educating and engaging with the users. NEXT STORY: Michael Page’s Salary Benchmark report is out: Are you paid right?